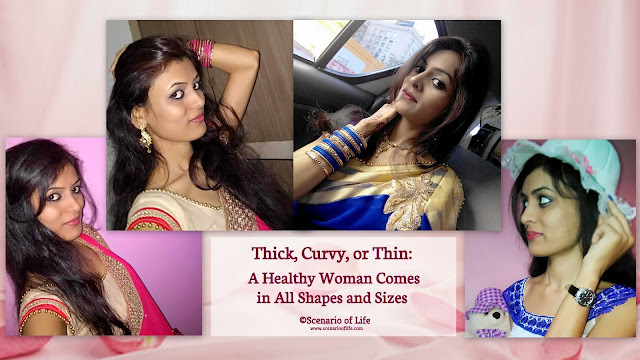 Scenario of Life: Britain Award For Mix-Niche Blog – My Fourth Award Nomination! Britain Award For Mix-Niche Blog – My Fourth Award Nomination! 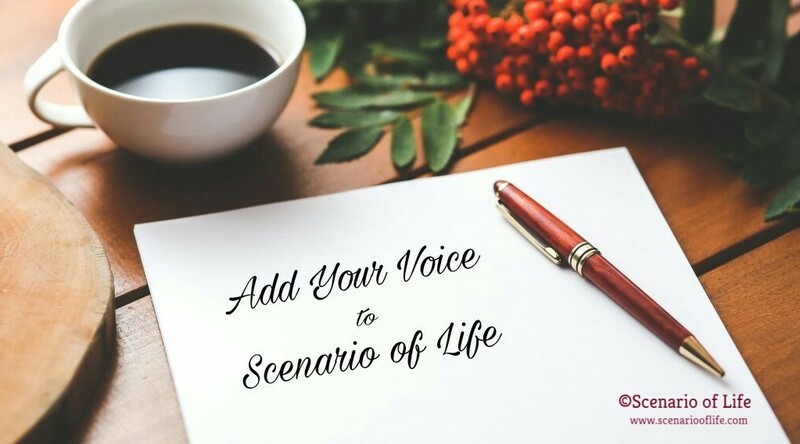 This post is pretty late, but a couple of weeks ago, at the end the year, I received the notification that Scenario of Life was rewarded for the Britain blog award. Since it was the beginning of the New Year following the New Year’s Eve, these days were the busy days for me, so I decided to let this alone for that moment and just decided to shout out to Erika Barbosa for taking the time to check out my website and nominating it. I am really honored to receive this award, especially since I am new to the blogosphere. I always love getting tagged for such awards. It's wonderful and encouraging at the same time to see that other bloggers recognize my work. Erika from California, herself is a new blogger, so it’s great to be rewarded by a peer. She has an amazing blog, too (by that I mean I have an amazing blog as well ;-) ) which is named as “Unapologetically Erika.” And one of my favorite posts of her is “Hi, I’m Erika. I’m an Addict.” In your spare time, do check out her blog. 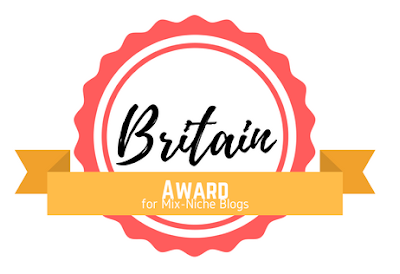 “The Britain Blog Award- for Mix-Niche Blogs” is an online award that is given to blogger by other bloggers. The goal of this award is to bring recognition to mix-niche blogs, meaning to recognize the blogs that cover a little bit of everything. It’s an opportunity for bloggers to recognize one another for each of our contributions to the blogging community! Want to know more about the Britain award? Click here. My interest or maybe passion for writing. I have been writing poems since my teenage and it's been a decade now. Though I haven't wrote one for a long time and I ought to pick up doing that again. I first got in contact with this type of literature when finding my papa’s (dad) collection of ghazals. And my papa inspired me to start blogging too. Read the full story here. 2. What are some goals for your blog? Well, I haven’t set up any big goals for my blog as of now, but yeah I have some goals that are pretty easy to accomplish and those are to serve my existing readers, to attract new audience, to reach out to as many people as I can with my contents and making my subscriber list. That way I have small goals that I can focus on every day. 3. Who are some of your favorite writers and why? There are number of writers who I like and I can’t enlist all of them here, but yeah I would definitely like to mention the two and one of them is my papa (dad) of course. He is a journalist for almost 3 decades now; he has composed countless articles, edited numerous books, and translated a number of books so far. He used to write “ghazals” (an Arabic poetry) too. I grew up reading his write-ups. He is my inspiration for my writing and of course for everything I do in life. The other one I would say Nicholas Sparks because he is one of the innovative writer and I love his ability to take the readers inside the heads and emotions of the characters. This is something that I would like to keep to myself only. So, I am sorry! 5. What is the best movie you have seen this year? I personally like to watch love stories, but the best movie that I have seen last year (I haven’t seen any movie this year as of yet) was “Hindi Medium” which is an Indian comedy-drama movie. This movie deals with a pertinent subject of how language divides the Indian society. Intoxication: From Fun to Death! 1. What are some goals for your blog? 2. What is the toughest part of blogging for you? 3. What do you do when you get writer’s block? 4. Is blogging your full-time job? If not then how do you manage it? 5. If you have a book you re-read often, what is it? If not, what’s your favorite book? 1. Write a post of acceptance – thanking their nominator for the nomination. 2. Answer five questions chosen by the nominating blogger and ask 5 questions to their nominees. 3. Nominate at least 5 other bloggers, no more than 10 mix-niche blogs for the award. Notify the nominees. 4. Like and comment on the favorite posts linked by the nominating blogger. Congratulations to all the new nominees! I look forward to reading your answers and future posts. 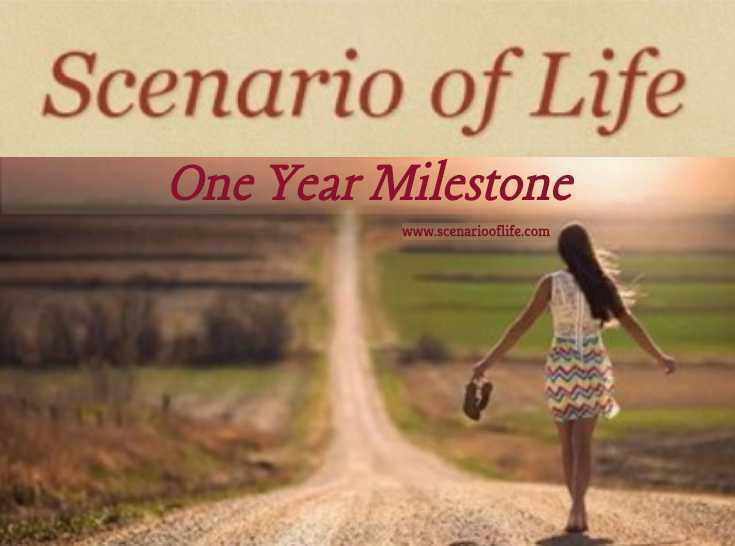 Scenario of Life has been rewarded 13 times last year including this one. I would like to thank Erika for nominating my blog for “Britain Award.” I greatly appreciate it. And I want to thank all of you for tuning in and checking out my posts. Again a very hearty congratulationssss for this award. Even you deserve this. People are liking your posts and loving to read it. You have god gifted skill of writing, which is not everyone's cup of tea..
Stay blessed.. Be Happy.. Stay motivated.. Awaiting your new posts..
Aww thank you so much, I’m humbled you chose my blog! 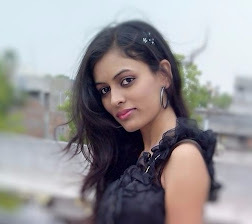 I like your answers, I too wrote poetry at the start and that’s how I got into blogging! Congratulations! Way to start a New Year. Keep it up! :D Best of luck on your upcoming posts. Congrats on your nomination! Keep up the good work :) Good luck with your blogging journey. Wow congratulations! Clearly this is so well deserved! I love the idea of a mix niche! Great job on the nomination. It is so nice to be recognized. Good luck to you. Congrats on the nomination! I'm also working on building my subscribers. Congratulations on your award! What a great way to start off the year. Keep writing!